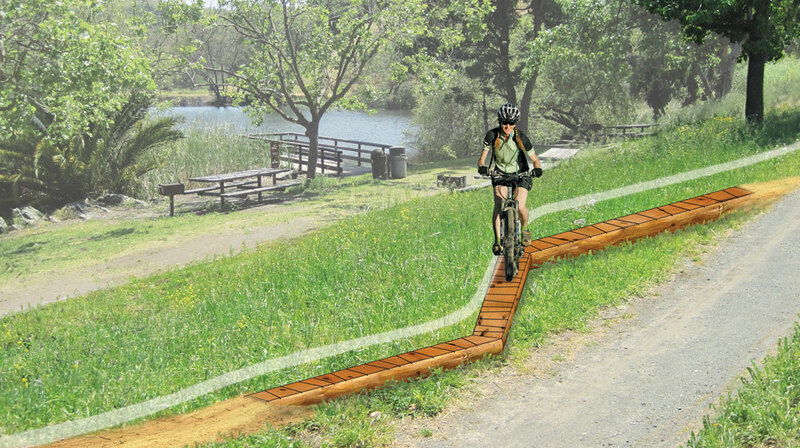 Log Rides have always been a part of mountain bike trail systems. FlowForm engineers have developed a custom knifeplate system specifically designed to support FlowForm Log Rides. Our custom knife plates combined with pre-cut Western Cedar logs create a durable platform allowing for a stable ride with easy installation. The Log Ride is available in multiple configurations.